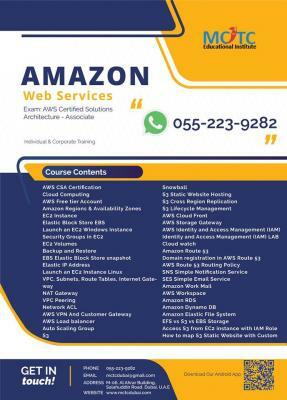 AWS Course at MCTC Dubai is meant for AWS certified solutions architect associate certification program from the expert instructors in Dubai. Enroll today to learn the key concepts, latest trends, and best practices for working with the AWS architecture. Become industry-ready AWS certified solutions architect associate that help you qualify for a position as a high-quality AWS professional.